Backmasking is an on-going performance experiment in form and interpretation using popular songs that are sung backwards. 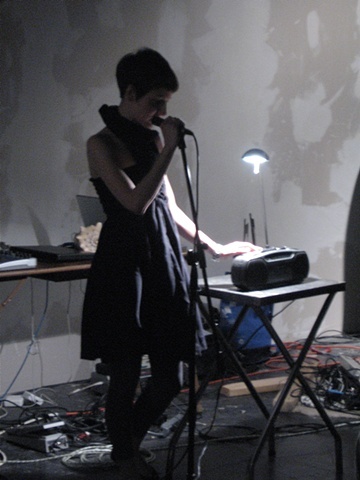 This performance of Backmasking at Enemy in Chicago for Waveforms, curated by Ryan Dunn, is a lo-fi juxtaposition of Shara Worden/My Brightest Diamond's song, "Disappear" with Lady GaGa's song, "Poker Face." To view documentation from this performance click on this link.